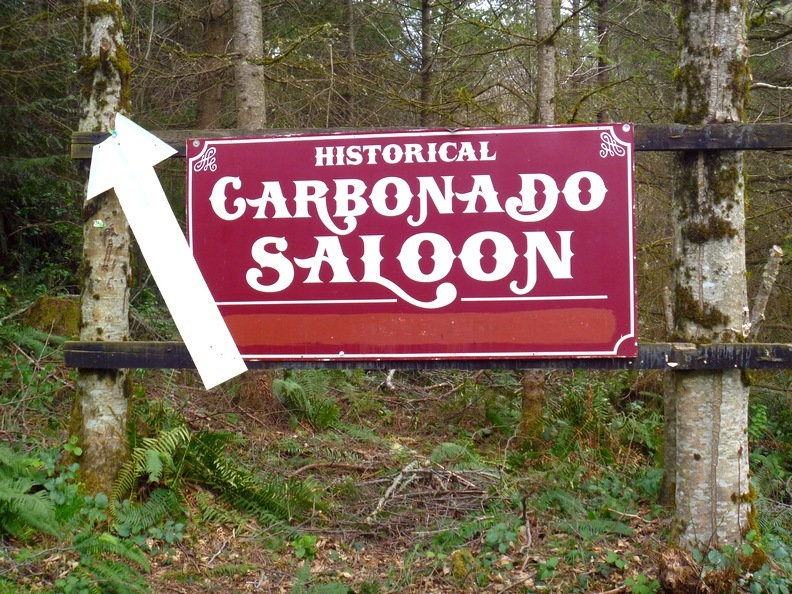 It's difficult to know how old the Carbonado Saloon really is. But relying on the verbal history from some locals and a bit of deduction, it is believed that the building was constructed in 1878 and moved to its current location in 1889. 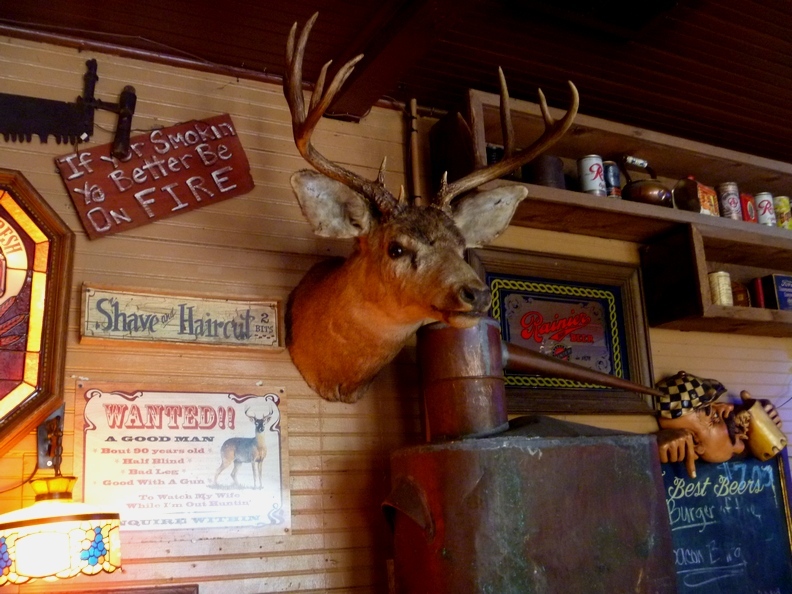 The building has housed the town's post office, a barber shop, and a dentist's office. 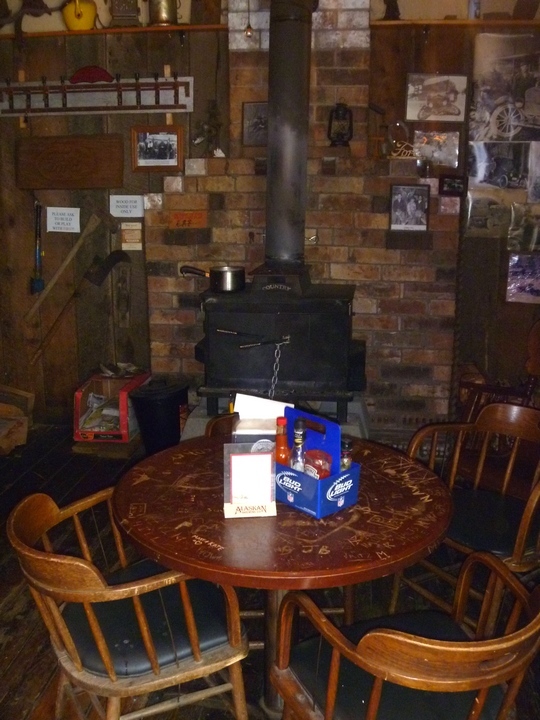 It is believed to have been a bar since shortly after prohibition. 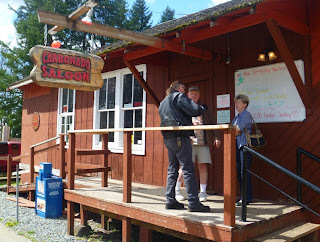 It was originally known as the "Canteen," then became the Carbonado Tavern and later Carbonado Saloon. The town of Carbonado (say "car-bon-AIE-doh" not "car-bon-AH-doe"), is an old company town, just two miles past the old coke ovens of Wilkeson. 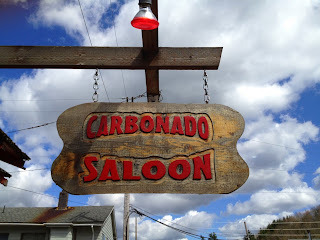 The town is almost entirely residential now -- the saloon is the only business as far as I could tell, on a quite street among the 200 or so households and 600 residents, about 1,000 feet from the Carbon River. For half a century it was a thriving coal town, but with the Great Depression, the demand for low grade coal fell, the railroad closed, and the mining company sold houses, property, and buildings, eventually closing for good in 1974. Jon and Amber, the current owners, been fixing up the place while honoring its history (Jon, at least, has lived in Carbonado all his life). There are a lot of large photos lining the walls, and shelves of various collectibles and dive bar knickknacks. They serve some good bar burgers, have a fairly standard offering of beers and liquor, and a large sunny back patio. 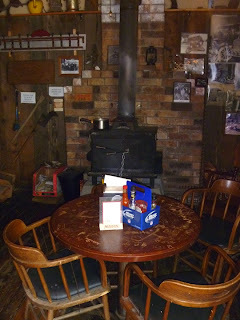 They're gracious hosts and happy to talk about the place. 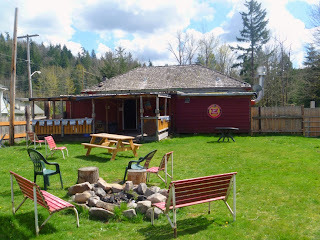 For anyone who loves old bars it is well worth a trip (including stops in Wilkeson).